There are four upcoming IPOs this week, representing a lighter week on the 2014 IPO calendar than we've seen lately. Over the past two weeks, 22 companies have held initial public offerings in the United States. That's a trend that investors have seen all year, as 2014 has been the busiest year for IPOs since 2000. 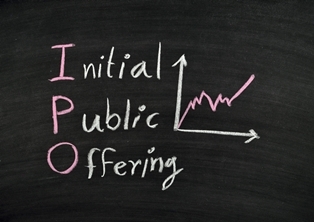 Through today, 188 companies have held initial public offerings and 235 companies have filed for IPOs. August is typically a lighter month on the IPO calendar, as fewer companies usually hold initial public offerings during the summer. Company officials and underwriters want to stir up as much interest in the new stocks as they can, and the quieter summer months can make that difficult. So for the rest of August, investors can expect fewer upcoming IPOs each week than they have gotten used to seeing in 2014. Even though the IPO market may be slowing down this month, there are still some new stocks that'll start trading. Here are this week's upcoming IPOs, and the financial figures behind each deal. Otonomy Inc. (Nasdaq: OTIC) is a clinical-stage biopharmaceutical that develops treatments and therapies for diseases and disorders of the ear. OTIC will be pricing shares on Tuesday evening and is expected to raise $80 million by selling 5.3 million shares at a range of $14 to $16 per share. OTIC is expected to have a value of $315 million following this week's IPO. Shares of OTIC will begin trading on the Nasdaq on Wednesday, Aug. 13. Zosana Pharma (Nasdaq: ZSAN) is a biotech company that develops treatments for osteoporosis. ZSAN plans to raise $70 million in its IPO, and will be offering 6.4 million shares at a price range of $10 to $12 per share. In the last year, the company had revenue of just $3 million, but ZSAN is expected to command a market value of $139 million following the IPO. No specific date has been set for the ZSAN IPO, but according to Renaissance Capital, a deal is likely this week.